I received product from ellembee for this review. All opinions are my own. For a while now, I have been following a shop on etsy called ellembee. From the first time I saw an ellembee item, I was hooked. I was/am impressed with ellembee’s ability to take every-day comfortable clothing and turn it into spectacular casual apparel. They “dress” these items up while still remaining true to the relaxed feeling. Ellembee offers hand printed hoodies, jackets, t-shirts, tanks, dresses, skirts, sleepwear, scarves and more. Ellembee apparel makes great gifts for women. I have a few Ellembee items on my Christmas wish-list. 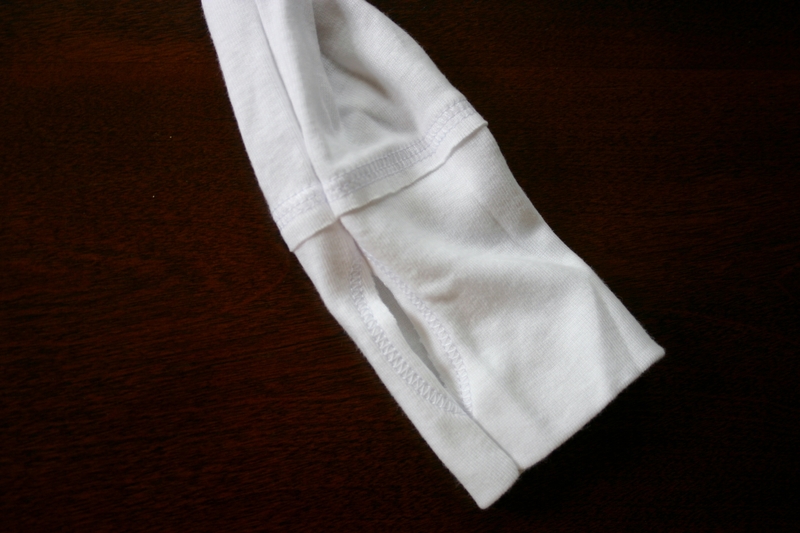 I jumped for joy when I recently had the opportunity to review a new product from ellembee…the Poppies Hoodie in White. The Poppies Hoodie starts with a basic comfortable cotton hoodie. 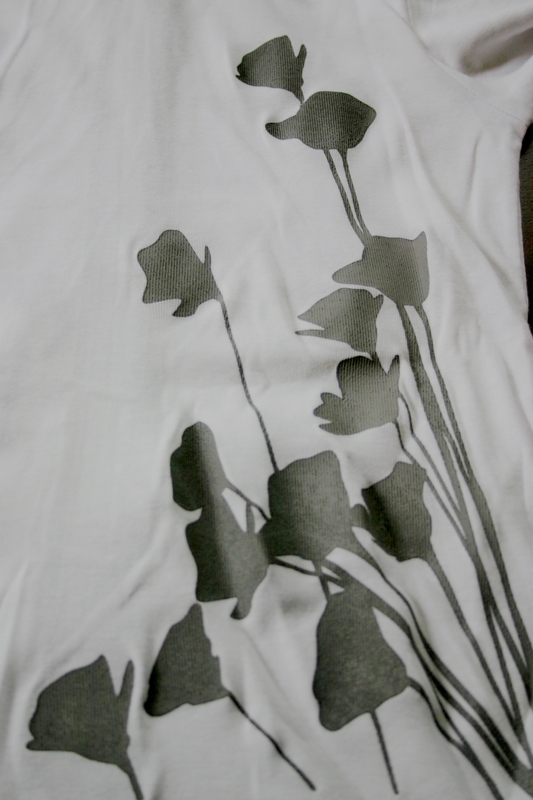 The Poppies are then hand screen-printed on the front and back of the hoodie with gray ink. The inside of the hoodie has a soft gray lining. 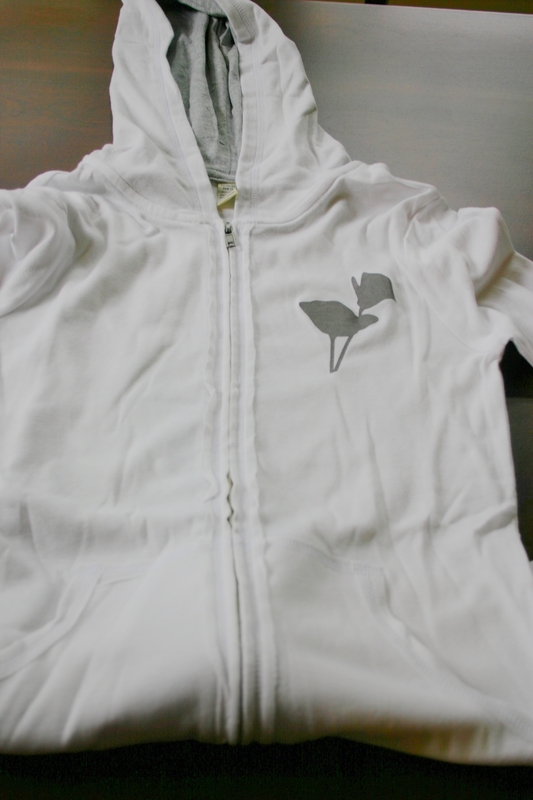 The front has a full zipper, the hood is drawstring free and the long sleeves feature thumb holes. 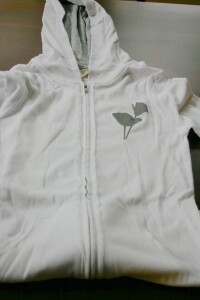 The Poppies Hoodie in White is beautiful! It is well made and very comfortable to wear. The slim fit of the hoodie is flattering. When I wear this hoodie, I usually pair it with a tank or graphic t-shirt, skinny jeans and knee-high boots. It is my go-to outfit when I want something with an easy feel but need to look pulled together. This hoodie is warm enough for our Oregon fall days that we’ve been having lately but not so thick and warm that I’m overheated while wearing it over a t-shirt. 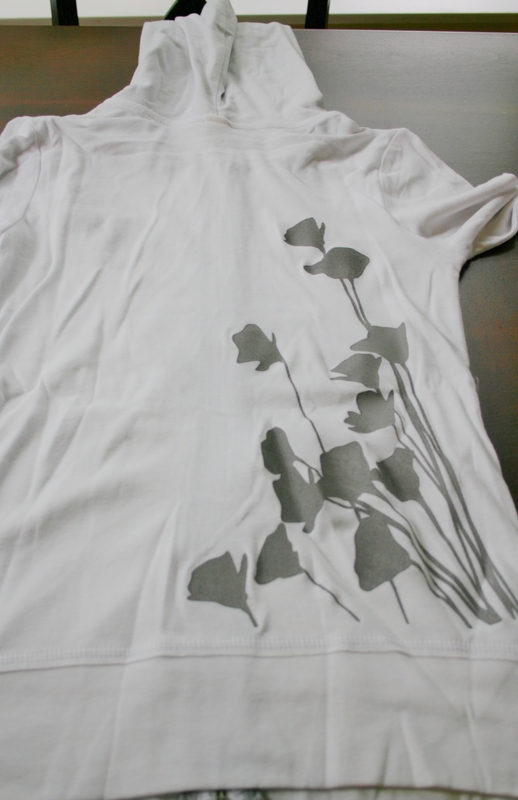 It is safe to machine wash your Poppies Hoodie. You can connect with ellembee on facebook and etsy. 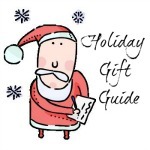 One lucky winner is going to receive one item (up to $50) from ellembee. This is a US giveaway and it will end on 11/26/2013. Good Luck! Hello, my name is Laurie. I have been married to my husband for 13 years. We have two young daughters, ages 9 and 12 years old. My family and I live in Oregon so that means we are just minutes from the beach, mountains, and desert. We love it here and try to spend as much time outdoors playing as we can. When we aren’t outside playing, I enjoy reading, baking, refinishing furniture, and other crafts. thank you – sometimes widgets just go crazy. I had the same issue with favorites. Love the Berry Vines Maxi Dress.